White Deer Valley is a gated enclave of 51 luxury custom homes at the base of the Rocky Mountain foothills in Littleton. These million dollar homes sit on 2-11 acres and boast stunning view of the local mountains and wildlife. Each home floor plan and style is unique with some having 4,800 square feet with other sprawling out over 8,000 square feet. Most of these ranch and 2-story homes were built between 1999-2006. They all include walk-out basements and 3-5 car attached garages. The grounds are kept in pristine condition by the White Deer Valley HOA which also provides snow removal during the winter. The custom homes in White Deer Valley enjoy the convenience of local Deer Creek Canyon Park which has over 13 miles of hiking, biking and equestrian trails..
See what your home is worth With an Instant Home Valuation Online. Want advice on selling your house? We provide a free staging consultation, pre-listing prep plan, and a White Deer Valley real estate market analysis. Call us at 303-325-5690 to learn more. New to the Area? 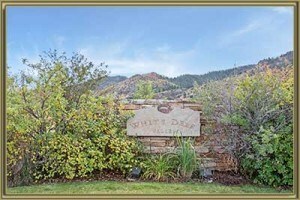 Call our White Deer Valley real estate agent at 303-325-5690 to schedule your tour of Homes in Littleton CO.